Matt Gifford, (aka ColdFuMonkeh) twittered an article that has lead me to a startling conclusion: Ruby on Rails is a dead language! Read more to find out why. The article that Matt references is Ten Dying IT Skills at Global Knowledge. We all know ColdFusion is a dead language, I mean the article nails it on the head: that there are more openings for PHP developers than for ColdFusion developers must mean that there aren't very many jobs for us CF developers. I find it amazing though, that they missed the second conclusion from their job opening comparison: If ColdFusion is a dead language because it only has 2,000 job openings compared to PHP's 11,000 openings, than Ruby on Rails must be a dead language with only 1,500 openings. I'm not sure how such a well researched article could have missed this, but there you have it. Ruby on Rails is a dead language. This post is meant to be very tongue-in-cheek. I don't think ColdFusion and Ruby on Rails are dead languages. Comparing numbers of job openings at a single site without any data about factors relating to those numbers is about as revealing as comparing the weight of pocket lint between PHP and CF Developers. Just for the record, I don't think CF is a dead language at all. Just because a particular job listing site had only a selection of jobs (still over 2,000 though!) in no way means that the language is dying. Far from it. As most CF developers might know, the interest in the language and numbers of CF developers is increasing. The release of CF 9 (Centaur) and it's amazing new features and tie-ins with Flex (amongst other things) will only go to further increase the marketability of ColdFusion as a coding language. Couple that with open-source CFML alternatives, an ever-expanding community AND a firmly written development plan currently up to CF11, this indicates completely the opposite. Ruby on Rails is not a language. Ruby on Rails is a framework. Ruby is a language. ColdFusion is not a language. ColdFusion is an application server. CFML is a language. I think Rails will slip into decline. People are already referring to the die hard Rails developers as "clingers"!! People are realising that this is a toy framework that views the world in a very simplistic way. That means to write a decent application you're continually fighting against Rails and what it wants to do. The hype dust has settled and at last it's possible to see Rails for what it is. Still not supporting internationalization properly. Offering flawed pluralizations. Twitter replaced large chunks of their back-end queueing system with Scala because Rails just doesn't cut the mustard. Java Enterprise Edition by contrast is a well designed, mature, scalable framework and makes Rails look like Fisher Price material. I find it funny that not one person who left a comment is smart enough to pick up on the sarcasm... even after putting that pointless tongue-in-cheek disclaimer. @Scott: Yeah, I really didn't even feel that the disclaimer was necessary when I first posted this, but after the very first response I threw it in there. I think I'm starting to realize that sarcasm doesn't work well online. the problem with ur analysis is that ruby on rails IS a DYING framework. Just look at all the trends, from google trends to tiobe which show declining interest in RoR. therefore, if ur thinking CF is similar to RoR, then YES it IS a dying platform. @John Yeah, it does seem as though RoR development might have been a fad to a certain extent... which is kind of sad, because the framework does have a lot of good ideas. I don't really think that ColdFusion is like Ruby on Rails though; I was only trying to point out that job posting metrics don't really tell the full tale of a language/platform's strength and robustness. IMHO, The main reason of RoR failed, is the same thing with their promo 'main weapon' : ActiveRecord. Active record pattern, it is a fast solution for simple, CRUD like, business logic, but failed when facing more complex business logic. that is why RoR is faded away. 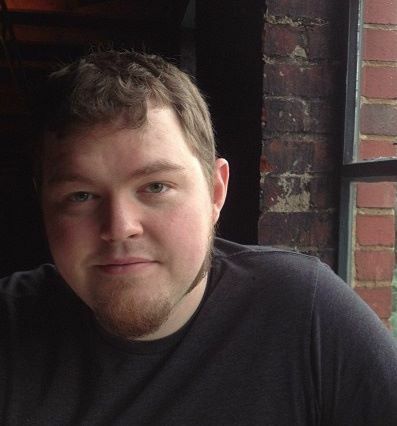 @TubbyBlogger: You're right, just as ColdFusion is not a language either. I was just getting confident about RoR after learning almost every major tutorial ever written on popular sites this past 6 months! FK FK FK FK FK..
Accounts learn once and their knowledge is evergreen . Lawyers learn once and their knowledge is evergreen . Doctors learn once and their knowledge is evergreen . Even the blue collar jobs are learn once and evergreen. But why the FK the head honchos of programming world cannot just focus on developing one fking language and keep on iterating it till it solved all the problems it has! As a programmer, your skillset is only as good as your last job. I'm going to sign up for medical school now and earn big fking bucks.. FK FK FK..